E Van Lowe was born in the Bronx a long time ago, back in the days when children were supposed to be seen and not heard. Fortunately for E, his parents allowed him to speak freely. Unfortunately for his parents and older brother, E had a lot to say. He was speaking quite freely until one day, while his mother was trying to watch her “stories” (which is code for soap operas), she suggested that instead of speaking freely, he write all his important thoughts down. E wrote down many important thoughts, such as: crayons melt when you leave them on the radiator, or toy soldiers melt when you drop them in the muffin batter before mom puts it in the oven. His brother thought he was weird, but E was only ten years old at the time. What did he expect, Shakespeare? E liked writing things down so much, he decided that when he grew up, he was going to become a professional writer. As a teenager, E tried very hard to be popular. One of the things he tried was hanging out with the “bad” kids. He encouraged them to write their thoughts down, as well. They explained that if they wrote down their thoughts it could be used as evidence in a court of law, and encouraged E to move on. But E kept writing down his important thoughts. E wrote many short stories and poems all through high school and college. He entered them in writing contests, but the contest people didn’t think they were important enough. E was not discouraged. He kept writing. When E graduated from Lehman College in the Bronx, he moved to Los Angeles. There he enrolled in the Masters In Professional Writing Program at the University of Southern California. It worked! 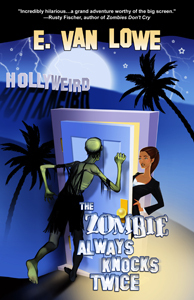 While a student at USC, E sold his first short story to a romance magazine. His brother thought that was the weirdest thing ever. E didn’t care. He had become a professional writer. E told his brother quite eloquently, “nah, nah, nah!” and continued writing. E has gone on to write for many award winning TV shows including: The Cosby Show, and Even Stevens. He also co-wrote the Academy Award nominated short film, Cadillac Dreams. 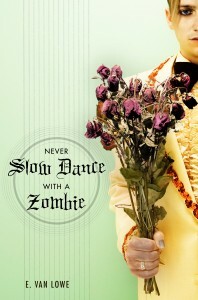 Never Slow Dance With A Zombie was his first teen novel. 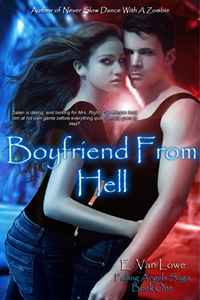 Boyfriend From Hell is the first in the Falling Angels Saga. 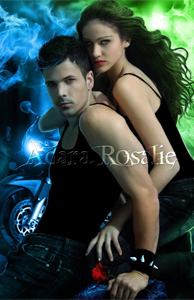 The second novel in the saga, Earth Angel, will be coming out soon. It seems E still has lots of important, and weird, thoughts to share with readers.